You had me scared Francie had died. So glad that isn't the case. 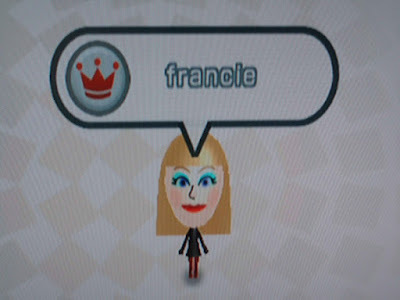 I still remember her Mii from our visit three years ago. She's memorable! Looks like you Photoshopped your Wii character onto the photo where that woman is holding a bag of cookies.